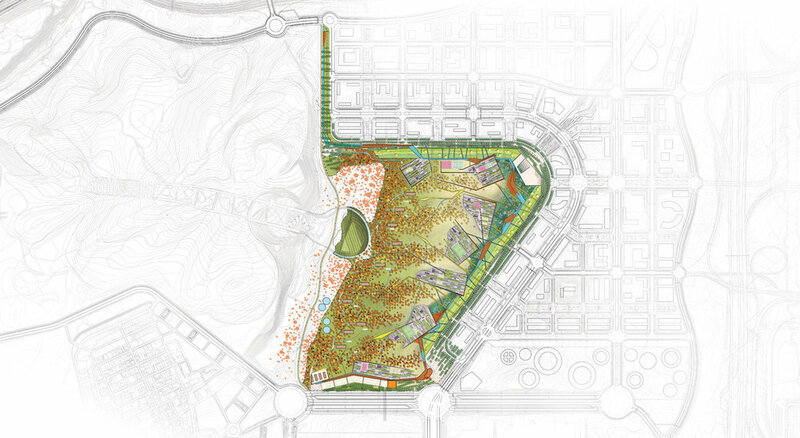 Parque De Aguasverdes — Landworks Studio, Inc. 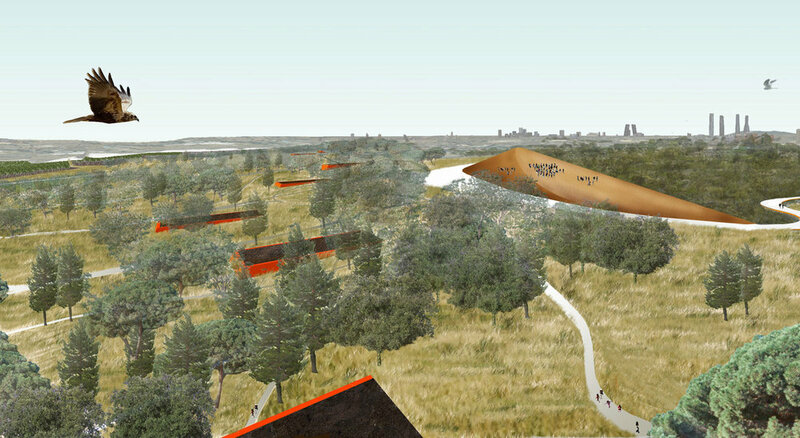 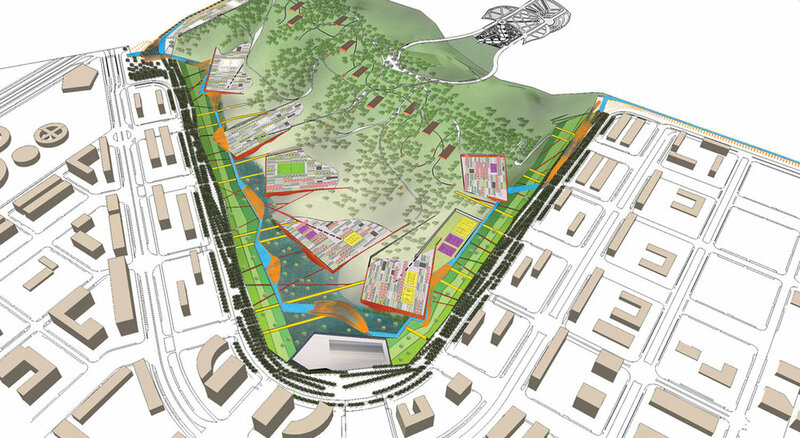 The design of this central park in a new mega-development in the desertifying periphery of Madrid is founded on the collection, treatment and distribution of the continual resource of effluent from the residents of Parque de Valdebebas; the collection, storage and reuse of all stormwater; and the productive attributes of the agrarian landscape. 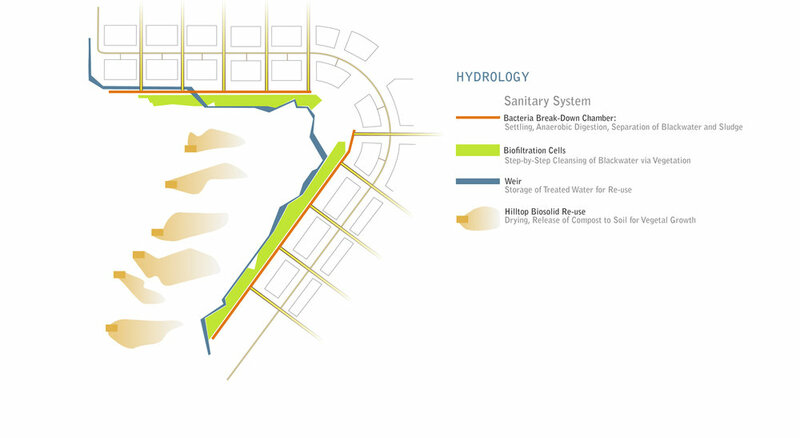 Treated effluent will amend the soil on the site for gardens, fields and forests, and irrigate non-food planting. 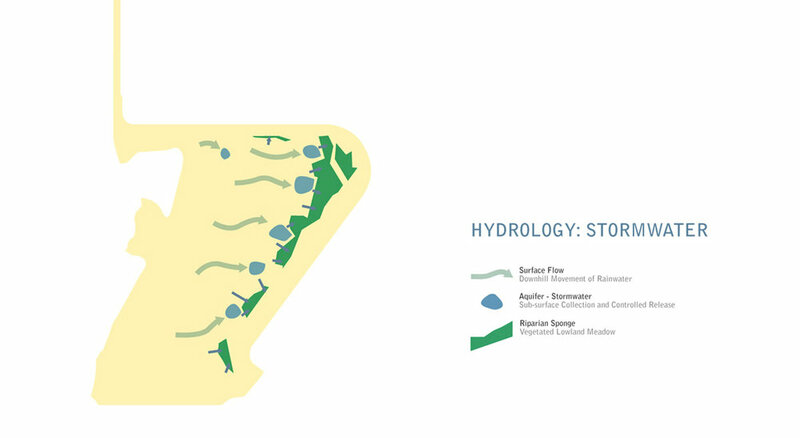 Stored stormwater will irrigate food crops and lowland habitat. 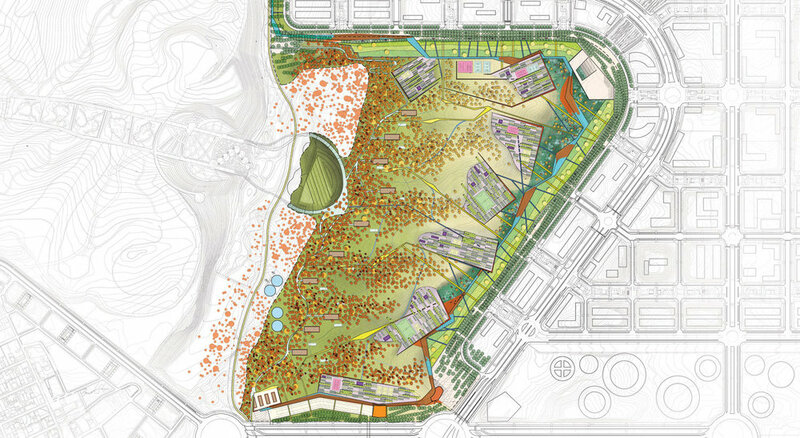 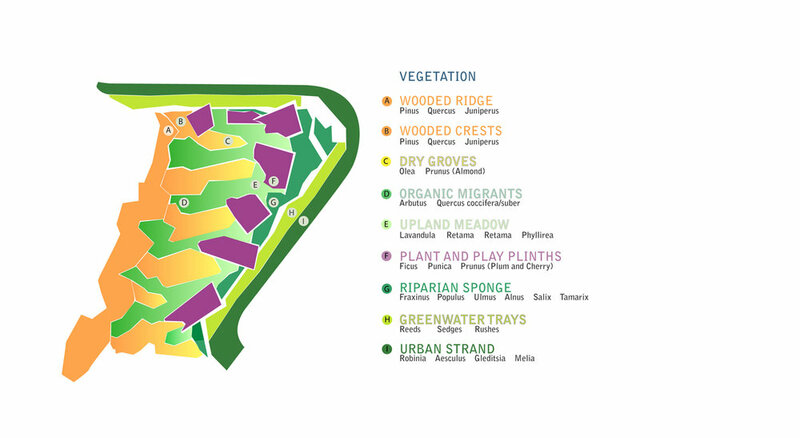 Socially and politically, Parque Aguasverde will function as an integral piece of infrastructure for Parque de Valdebebas, addressing residents’ social and recreational needs, while ecologically providing a diverse range of vegetation and habitats on the site’s northern and eastern edges and presenting a more sustainable strategy for water reuse.